- mathcad and maple. Mathematics is crucial in determining correlations in chemical processes and requires various numerical approaches. Often significant issues with mathematical formalizations of chemical problems arise and many kinetic problems can't be solved without computers. 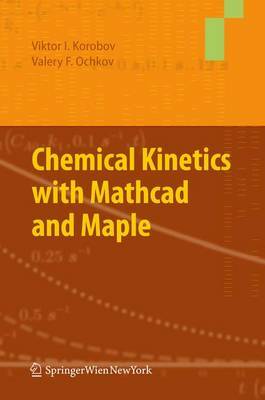 Numerous problems encountered in solving kinetics' calculations with detailed descriptions of the numerical tools are given. Special attention is given to electrochemical reactions, which fills a gap in existing texts not covering this topic in detail. The material demonstrates how these suites provide quick and precise behavior predictions for a system over time (for postulated mechanisms).Examples, i.e., oscillating and non-isothermal reactions, help explain the use of mathcad more efficiently. Also included are the results of authors' own research toward effective computations.